1896. Slatestone rubble with granite dressings ; porch and tower in granite ashlar. coped verges in granite and cross finials to east. north vestry ; north aisle, south aisle with south porch ; west tower. light east window with cusped lights. South aisle is on a chamfered plinth, of 6 bays with long and short granite quoins. principals, wall-plates and bosses, one central boss replaced and inscribed Thos. and a wooden case lock. buttresses, with clasping pinnacles at each stage rising from the buttresses. openings with Perpendicular tracery and 4-centred arch. and carved granite ledger stone. South aisle has piscina. reredos in the same style. Nave and aisles have benches with C15 carved bench ends. of the Coronation of the Virgin and saints, given in 1967 from Carblake, Cardinham. metal tablet with nowy head, to Henry Bennett, 1777. 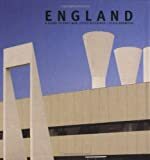 Sources: Pevsner, N.: Buildings of England : Cornwall 1970.